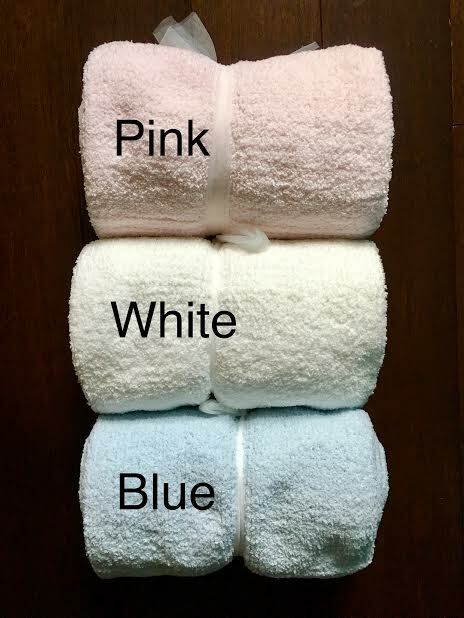 This extremely soft chenille baby blanket is available in three different colors (soft pink, white, soft blue) and measures 30" x 40". 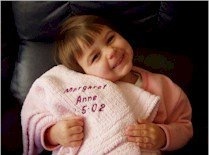 It is machine washable and will become a baby's most favorite blanket! All blankets will use a coordinating thread for the lettering but if you have something special in mind, please let me know! Consider pairing this blanket with a bib or burp cloth! I am happy to combine shipping. Send me a message and I can create a custom listing for you. Thank you and - as always - if you don't see something you are looking for, please do not hesitate to contact me.